I hope everyone had a wonderful holiday spent with friends and loved ones! For today's Frugal Round-up I'm sharing a few adorable ideas for you to store away in your files and use next Christmas. 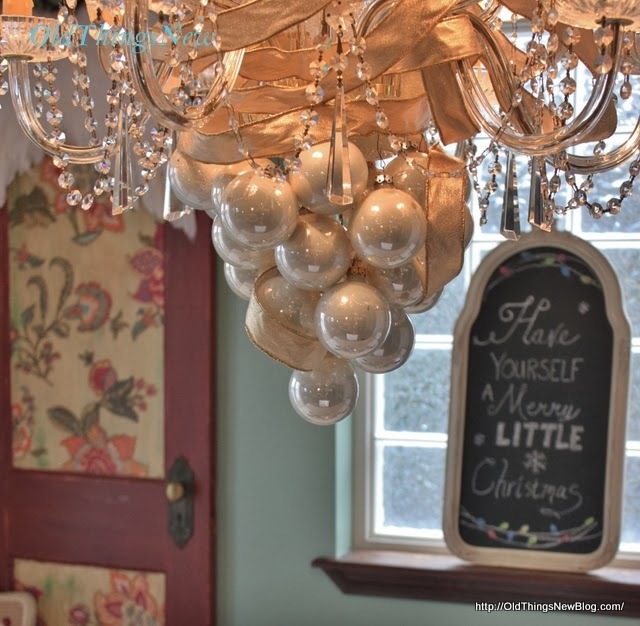 First up, I'm in love with this fancy Christmas chandelier shared by Old Things New. I've used the idea of hanging ornaments from my chandelier...but I love the addition of the ribbons. So pretty! 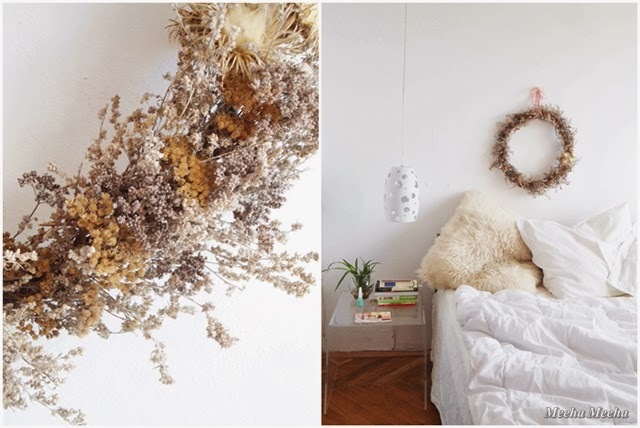 Next, Meeha Meeha shared her pretty wild herbs Christmas wreath. What I love about this is the unexpected use of materials. The white color makes it Christmas-y, but it could easily be used all year. 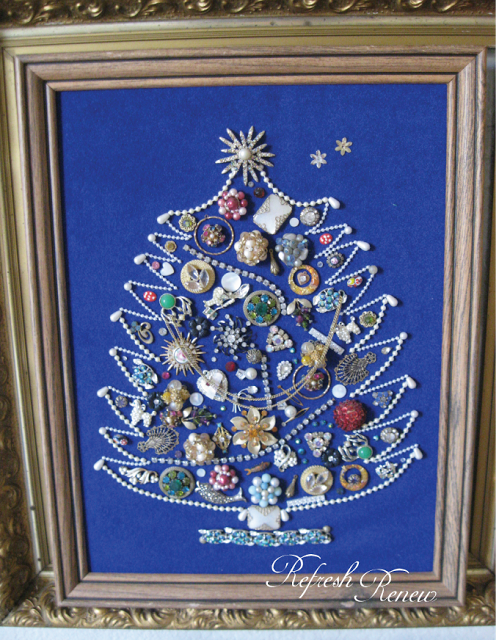 Finally, Refresh-Renew shared this darling idea: a Christmas Tree made from her grandmother's jewelry. What a fabulous idea! Thanks so much for hosting! Hope you had a Merry Christmas! Enjoy the rest of your week. I love this linky party! Wish I had something to link up this week. Nevertheless...Regards to you and your family this holiday season. Thank you for working hard on link parties. I know blogging takes a lot of work. Happy New Year to you! Take care. Thank you for hosting Frugal Friday this year Wendy. Appreciate all the work you put in to hosting. Happy New Year. Hi, Wendy, I hope you had a very Merry Christmas!! I'm so thrilled to join you @ your party!! Thank you so much for hosting. :) Many Blessing to you and yours for a very Happy, Healthy New Year!! Thank you so much for featuring my Nana's jewelry tree. My mom was with us during the holidays and was so emotional when she saw how other people responded to her work...It made us feel like our Nana spent the holidays with us in a special way.